Just a few moments captured today in my “sculpt around the room” game. 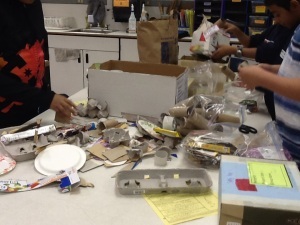 This is a quick shot of the mess that is the Dr. Seuss Cardboard House center. They are figuring out how to make an odd shaped building that must fit in the “size test” box and must include a flange, tab and l-brace attachment. Plus all working as a group to collaborate. The mess means they are successfully solving problems! 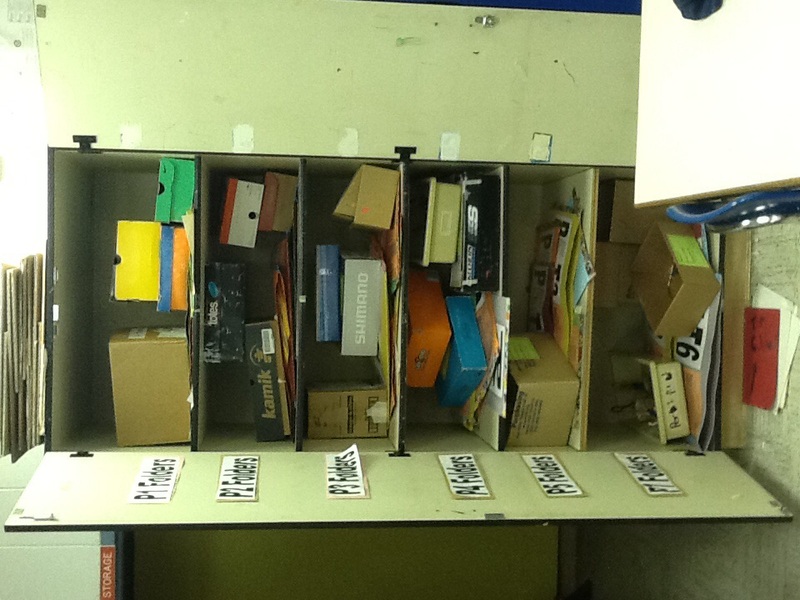 This is a shot of my cupboard of student work. Each shelf is a different class period. 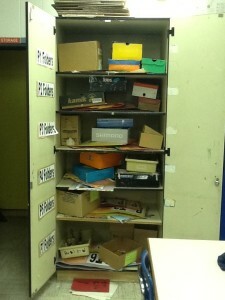 (I have 6 periods) Usually these shelves just hold their table folders, which hold their sketchbooks and 2-D work. Now it includes a labeled shoebox, one for each table group, where the small 3-D projects are being stored for this unit. It is getting a little crowded! I had to run out to the craft store after school today to restock on modeling clay and pipe cleaners, due to running low on this unit. I had to start rationing the clay yesterday so I could make it till I could get to the store.